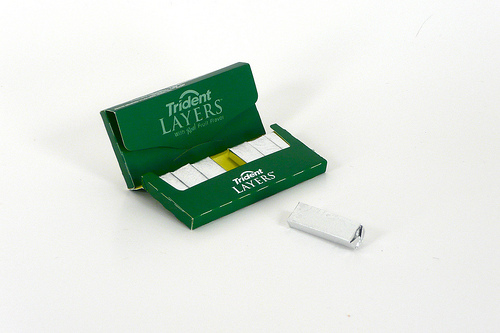 The new gum is called Trident Layers, and you might have seen the commercials for it on TV, where everyone wishes that they would get paid in gum instead of money. As I unwrapped it, music started playing softly and the room began to glow. This is no ordinary gum. 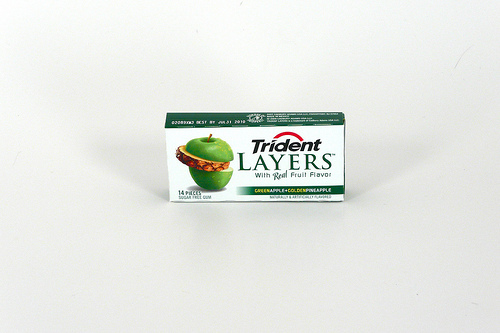 This post is filed under Gum, Trident. I’m a big gum chewier and I’m always looking for new ones to try. I was curious about these. Thanks for the heads up. I’ll probably try it some time but I’m not on my way out the door to pick up a pack. 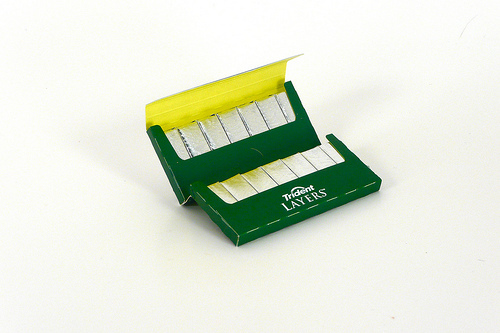 It’s a bit disturbing how very much the gum packaging looks like cigarette packaging. I wonder what corporate giant owns Trident. Were you paid to write this post? An interesting post, something different. I have to confess, I look forward to seeing what you review each day. Thanks. Excuse me, big man, but there’s no citrus in this gum (or at least there isn’t supposed to be). Citric acid is used in everything, nowadays, though… I tried this stuff… pineapple and green apple are just too confusing a combination for me. Being paid in gum is te same as being paid in money. Money can = gum if you want it to. Duh..? Excellent photo series! You really had me on the edge of my seat, wondering what the gum would look like once it was completely revealed. And I was not disappointed! 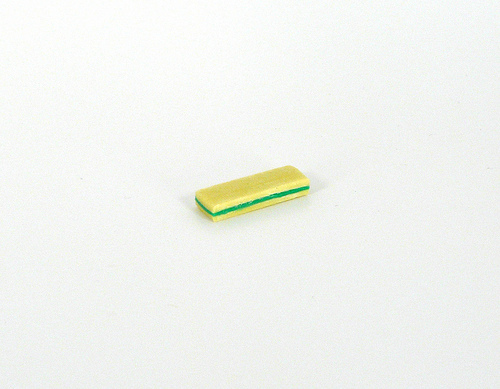 Green is my favorite color, and this product starts with green and then wraps it in PURE SUNSHINE! I’m going to recommend to those CoinStar people that their coin counting machines should offer this gum as a redemption option alongside the ITunes gift cards and leather belts they currently dispense in exchange for loose coins. I noticed. That is only ‘no no’ that bothers me.